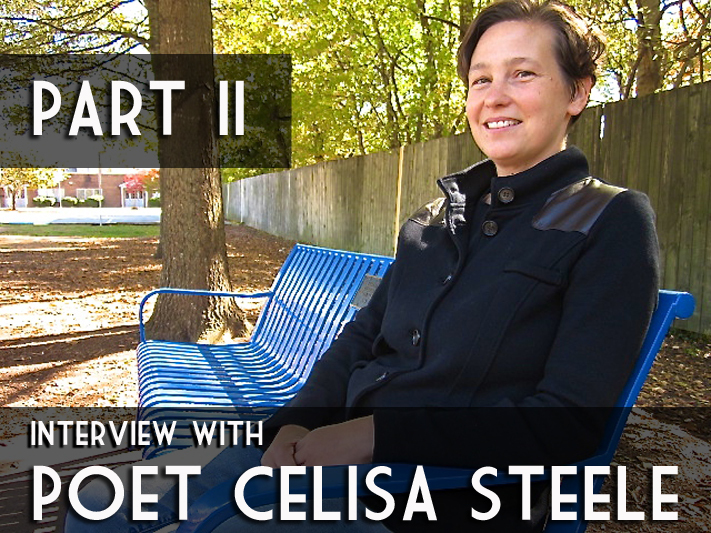 On Thursday October 30, 2014, Tate Street High Society Managing Editor, Abigail Browning met with Celisa Steele, the current Carrboro, North Carolina Poet Laureate, at a local coffee shop, The Looking Glass. About her craft, Steele remarked that poetry is “about a very specific type of naming” as a means of understanding each other and the world around us. Celisa Steele was raised in Fayetteville, Arkansas, where she lived for the first 22 years of her life. Her mother, a medical technologist, and father, a geology professor, “liked books” but did not specifically lead her to poetry. Instead, she was fascinated when she realized that the next-door-neighbor, Miller Williams, father of singer Lucinda Williams, was a poet. (Miller Williams is known for reciting a poem at President Bill Clinton’s second inauguration.) Her relationship with Williams extended through junior high: when Steele wrote a book of poems as a project for school, the famous poet wrote a back-cover blurb for her. In college, she formally studied with Jim Whitehead, where she honed her skills in poetic forms. Today, Celisa Steele has a bounty of awards and poems in literary journals. You can buy her chapbook, How Language is Lost (2011) published by Emrys Press, here. To see more about her experience as Carrboro Poet Laureate, read Part I of the interview here. A: Speaking of young poets mentioned in Part I of our interview, do you remember the first poem that you wrote? C: I do remember it. I think I must have been in 3rd or 4th grade, and it was driving from Arkansas to North Carolina. I remember looking out the window and writing it—and I remember it was rhymed couplets. I wrote it in the car, but then I had this card—it was red and had two horses—sort of an Asian or Chinese style, so I copied the poem out onto that card. I had it for a long time as a kid. I don’t know where it is now—probably got recycled at some point. […] It had something to do with the idea of traveling somewhere. It was very realistic: looking out the window seeing the miles pass and the telephone poles go by. A: Had you been exposed to poetry before then? Shel Silverstein and Dr. Seuss? C: I’m sure those, yes, definitely at school, and maybe some of that was read at home too. But it wasn’t like that, in the sense that [the poem] wasn’t whimsical or funny. It wasn’t funny. I don’t know exactly where it came from. A: Obviously, you have a love of language that has stayed with you through college, through your degrees in English and French, and a master’s in Comparative Literature. How did your education inform your writing? C: I think sometimes the strangeness of learning a foreign language can really reveal. You can stumble onto some great beauty that way. The expressions that different languages have—that might be very cliché in French—suddenly strike you as brand new because it is the first time you’ve ever heard that word, that way of phrasing something. I would say it’s that love of language, that acknowledgement that language can surprise and inform what we see and experience and do that draws me to both foreign languages and poetry. A: The idea of the arts and sciences of being separate has never existed for me. I don’t know about for you, but in my experience different ideas hinge on different types of language. C: I’ve thought that before. You think about scientific names of plants and animals, and it’s so specific: it’s giving you the genus, and it’s giving you all of this specific information. Poetry is like that. It’s about a very specific type of naming. It just goes about it differently than science. But [poetry] is all about: let’s be very specific. Let’s name this thing and that’s how we can know it. A: In what ways do you see your new poems as a departure from your chapbook, How Language is Lost? C: There are a number of formal poems in How Language is Lost—a number of sonnets, ottava rima, villanelle, things like that. I wouldn’t say that I’ve moved away from form totally but that I’ve come to appreciate more free verse and organic forms and maybe move away from received forms, the traditional forms. I’ve been thinking about how can a poem organically create its own form or suggest its own form, and I’m trying to explore that. Which I think in many ways is harder, but it’s something that has lead away from the received forms a little more. A: In what ways, then, do you think that writing formally is a risk for a contemporary poet? C: I think there are some people who when I say I have five sonnets in the book will yawn and say “I don’t want to read any more sonnets.” So I think there is a risk probably on both sides with people who maybe love form for form’s sake, and some who say “oh goody” who run and read those. But then I do think you can turn some people off. I think that form can be a great help. Basically, some sort of constraint helps me be more creative. The blank page is terrifying if it’s truly a blank page and you have no idea and you have nothing to go from. But if you give yourself some type of constraint, which could be a form or could be a prompt, then that helps. Suddenly, you know where you’re going to start. For me, the poems I admire most are poems where you don’t recognize the form. It’s there, but you get to the end and you realize: “gosh, that was 14 lines” and “wow, that did rhyme” but it’s almost a surprise. Whether it’s a received form like a sonnet or an organic form, when you read a poem and at some point you realize wow—every line was 7 syllables—something was there, but it didn’t forefront itself. I think that’s form when it’s best, when it’s not in your face but when it’s more of a natural support to what is happening in the poem. A: Are there any poets you look to consistently for inspiration? I did a course on W.B. Yeats in my senior year of undergraduate, and so I think he probably was an influence, and at some level is an influence, and “Lapis Lazuli” is a poem I have memorized. Actually, having Cathy Smith Bowers come to the [West End Poetry Festival] this year was meaningful to me. I’ve really enjoyed her work ever since I read The Love That Ended Yesterday In Texas—which was her first book—and just thought it was a really remarkable collection. Then, Traveling in Time of Danger, which was her next book—I admired that very much. So, I have one of her poems memorized: “You Can’t Drive the Same Truck Twice.” [Also,]“Spring” by Philip Larkin, “One Art” by Elizabeth Bishop. And others. Again, I think maybe this gets back to what we were saying about the festival for me. I don’t necessarily think of all these poets fitting into one bucket, or being particularly similar, but they’re all poets that I find something interesting going on in at least one of their poems, but usually more than the one I choose to memorize. A: What do you think the value of memorizing poems is? C: With scansion, or form, if you can internalize some of the techniques, then it’s going to come more naturally when it’s time for you to sit down and write. There’s a way of absorbing the logic or illogic of a poem by memorizing it and I think that can help you then in your own writing. I also think that poetry, by definition is, irreducible. The poem is the poem. Miller Williams and John Ciardi have this book called How Does a Poem Mean? which is different than how kids get taught poetry in school a lot. They’re asked “What does the poem mean?”–so they read it and they’re asked what is happening in the poem. [The book’s] point is that doesn’t matter—the “what” isn’t important—it is: How does the poem mean? How does it all fit together? What is the meter doing for it? What is the rhyme doing for it? And so I do think that poetry does resist being summarized. Therefore, memorizing a poem makes perfect sense: the poem is this irreducible thing; so if you can memorize it, that is a way to be very true to what the poem was meant to be, which is a whole. A: I think Robert Pinsky would appreciate what you’re saying here, and also that you’ve memorized “The Shirt” because he is obviously a huge proponent of the medium, the voice, the memorization, a personal ownership of being the vehicle for the poem. C: I think too, [the act of memorization] is a good reminder for me that the poems are aural experiences. Because sometimes, I know I run the danger of sometimes relying too much on the poem on the page. A: The last question I have—which is always the loaded one: where do you think that contemporary poetry is headed, and what trends do you dislike or are you excited about? C: That was the question in the list that I was most scared of [laughs]. A: Well if you hate your answer, later, we’ll just cut it, just so you know [laughs]. C: To me, I kind feel it is a disservice to reduce poetry—to reduce a poem to some synopsis. And then to talk about trends in poetry seems like compounding sin on sin, right? Because not only am I summarizing a poem, I’m summarizing all the poems, and then saying: this is what’s going on. For me, it’s very hard. How do you talk about trends? 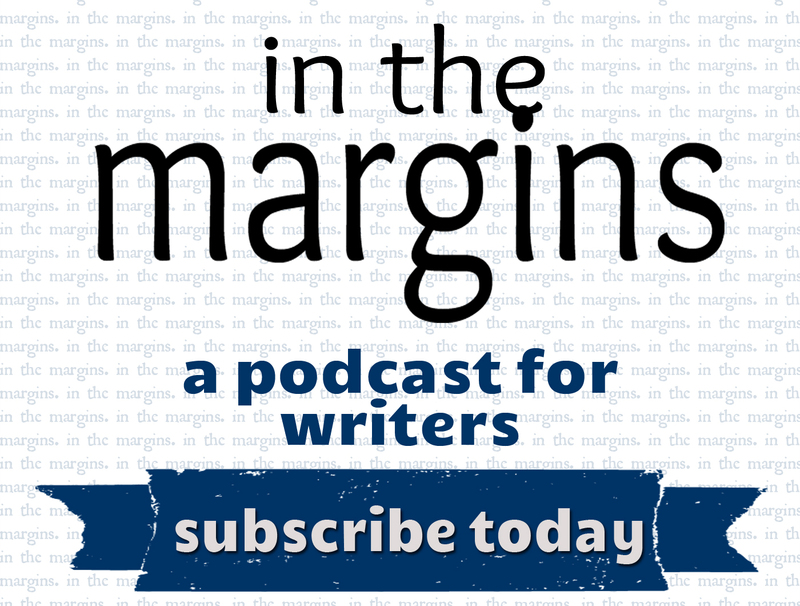 Do you talk about what’s being published? Do you talk about some sort of majority rules—something like 85% of poets are writing this way now? So it’s very hard for me. And then, I would hate to represent myself as better read than I am. There is so much out there. I’m almost a little reluctant to pass judgment, because there is so much to read. And even if I’m reading Poetry every month, and going to the readings in town, and buying chapbooks, you still know that’s only a drop in the bucket of what’s out there. A: I’m trying to get to know as many journals as I can on Twitter, and every day, there are five more journals to follow and learn about. I definitely relate to what you are saying. Really, you are just too clever to answer the question, I think. C: [Laughs.] Speaking to what you’re saying, we could count [that] as a trend. It does seem that we are in a true boom, given all the journals—online options, self-publishing, the proliferation of MFA programs. It does seem like a boom. A: We’ll definitely be exploring the poetry “boom” at Tate Street High Society; we even may do some of that uncomfortable work of unbinding the trends of the current publishing market. Thank you for your insight, Celisa Steele. We are fortunate to have the opportunity to hear your thoughts! 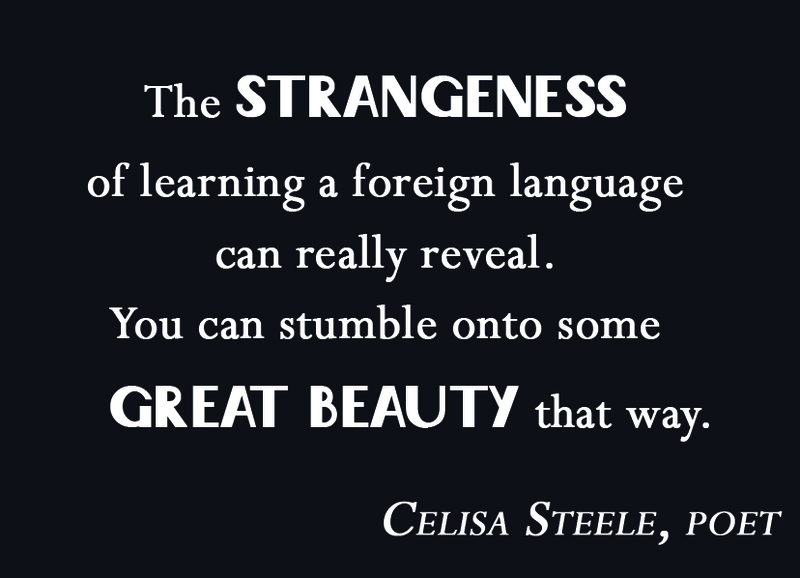 We look forward to reading more of Celisa Steele’s poetry and seeing the second half of her term as Poet Laureate unfold. To hear more about Steele’s experience as the Poet Laureate of Carrboro, read Part I of our interview here.